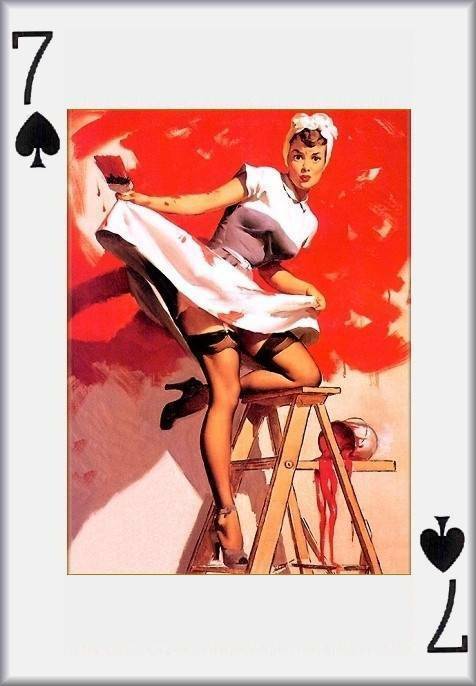 Pin- Up Playing Cards. Playing Cards.. Wallpaper and background images in the pin up girl club tagged: pin up girls playing cards..
kata kunci: pin up girl, playing cards. This pin up girl photo might contain potret, headshot, and closeup.